This post is one of a series on projects supported by the Anderson Cabot Center’s Marine Conservation Action Fund (MCAF). Through MCAF, we support researchers, conservationists, and grassroots organizations around the world as they work to address the most challenging problems facing the oceans. Today’s guest post comes from Jamie Aquino, director of the Haiti Ocean Project. The waters off the coast of Haiti are full of marine life. Yet many of the species that inhabit these waters are not well documented. With support from the Marine Conservation Action Fund (MCAF), the Haiti Ocean Project is working to change that by launching a marine ecosystem monitoring network in collaboration with local fishermen. Since 2007, Haiti Ocean Project has focused on the protection and preservation of marine mammals, sea turtles, sharks, and rays. It is these species groups that are the subject of the monitoring network that will focus on the Canal de la Gonave, a marine channel that extends along the inner southern peninsula of Haiti. After meeting with fishermen in the key fishing villages along the Canal de la Gonave, where they were given custom-made Haiti marine guides and iPhones with waterproof cases, the fishermen provided weekly photos, videos, and information about any sightings or encounters with marine mammals, rays, sea turtles, and shark species. Over the past year, the sightings were numerous and detailed. 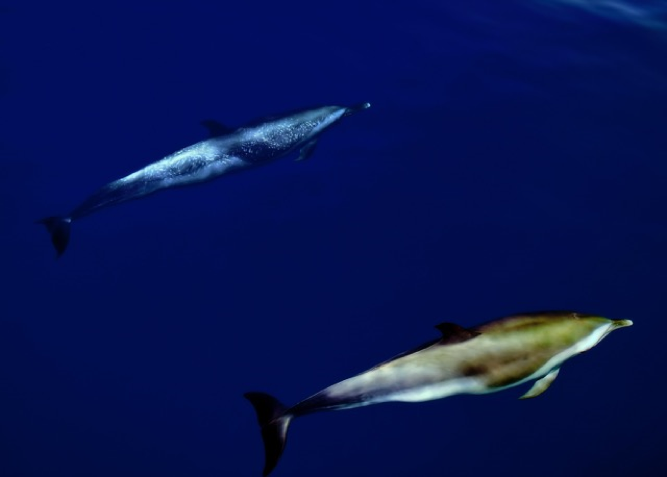 The sightings of marine species that had not been previously documented in Canal de la Gonave, such as false killer whale, minke whale, black-tip reef shark, lemon shark, and loggerhead and leatherback sea turtle, was very exciting! In addition, this monitoring network has also helped us uncover some important scientific information: specifically, that there are three significant pupping grounds for endangered oceanic whitetip sharks, that three fishing villages are key nesting sites for critically endangered hawksbill sea turtles, and that sperm whale calves are present not only in the fall, but also in the late spring. 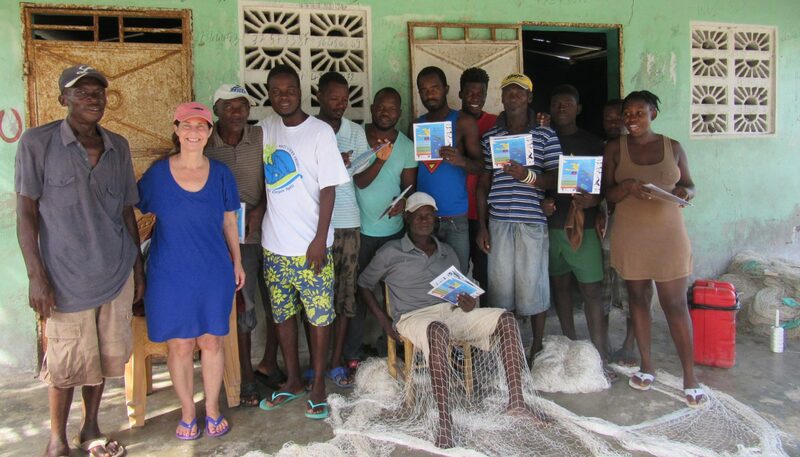 With support in part from MCAF, Jamie Aquino, founder and director of the Haiti Ocean Project, launched a marine ecosystem monitoring network in collaboration with local fishermen. Here Jamie (second from left) and Project Coordinator Francklin Barbier (in white T-shirt) distribute species ID guides to fishermen in Petit Trou de Nippes, Haiti. Haiti Ocean Project Founder and President Jamie Aquino is excited about how this monitoring network has helped generate interest from sea turtle, shark, whale, and dolphin experts who are now eager to conduct research on certain key species. With all the information, photos, and videos acquired from the monitoring network, Haiti Ocean Project is in a position to begin development of Haiti’s first sea turtle hospital and rehabilitation facility and establish whale and dolphin watching tours in Haiti. Local youth play a key role in the Haiti Ocean Project marine research and conservation programs. 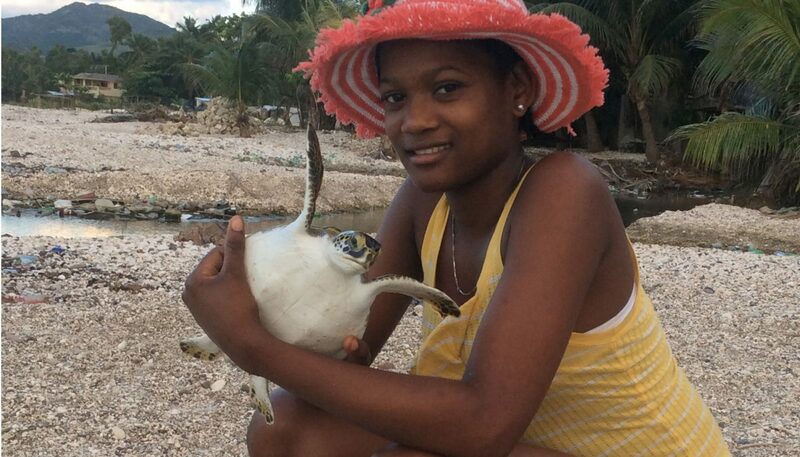 Here, Chamerine Calixte tends to a green sea turtle that was saved from a fisherman's net and later released back to the sea. Through launching the monitoring network, building collaborations with fishermen, and fostering the next generation of environmental leaders, Aquino and Haiti Ocean Project are working to create a brighter future for marine life in Haiti and the communities that depend on it.